Bloodborne is an action-RPG developed by FromSoftware, Inc. and SCE Japan Studio with Hidetaka Miyazaki of Demon's Souls and Dark Souls fame acting as lead director. The game was originally announced to be released on the PlayStation 4 on February 5, 2015 in Japan and February 6, 2015 in North America and Europe. However, on November 12, 2014, Sony delayed the game's North American release to March 24, its European release to March 25, and its Japanese release to March 26. Bloodborne plays in a similar fashion to the Souls games which came before it, but the similarities end with how the characters control and animate. The gameplay strategy which rose to prominence in previous games relied heavily on using a shield and staying behind it, a tactic actively discouraged in Bloodborne. In fact, there is only one shield in Bloodborne and the item description reads as follows: "Shields are nice, but not if they engender passivity." Subsequently, players can no longer rely on a thick piece of metal to protect them from everything, and must adopt a quicker and more aggressive style of play to survive in Yharnam. "Hunters do not normally employ shields, ineffectual against the strength of the beasts as they tend to be." Off-hand equipment has been replaced with firearms, sporting variants such as pistols, shotguns, and rifles. It is the main tool of defense, capable of interrupting enemies and countering their attacks. Timing the gunshot right before an attack connects forces the enemy into a staggered state, left vulnerable to a "visceral attack," a high damage strike that can be performed even on some Bosses. Coupled with the visceral attack is the new health regain mechanic. When players take damage their life bar does not diminish instantly. Instead, the damage taken can be "recovered" by pressing the attack and hitting enemies while in this temporary state. This risk vs. reward system in the combat is now something to always keep in mind. An example is being hit while having already fired a shot and staggered an enemy, the player can enter a visceral attack animation and regain all health lost. Guns use quicksilver bullets for ammunition, which can be either purchased, found in the world, or in an emergency situation traded for a portion of the player's health in order to have five "blood bullets." Some weapons in Bloodborne are called "trick weapons," and are capable of switching between two forms at the press of a button. Players can even transform weapons mid-attack, giving each weapon a truly diverse and unique set of attacks. An example of these is the Threaded Cane, which can switch between a cane, as the name implies, and a whip, at the player's control. Mastering a trick weapon's alternate mode is essential for effectively surviving in the harsh world of Bloodborne, with over 20 trick weapons to choose from, each with its own variations and unique move set. Evading attacks is now done slightly differently. Players can roll just like in previous games; however they are no longer affected by the equipment burden, and can roll at full speed no matter what armor is worn. While locked on to enemies the roll becomes a quick step or side step that covers a lot more ground and has many more invincibility frames, allowing the player to get away or press the attack. Each variation of the dodge mechanic can be instantly turned into an attack that varies depending on the direction dodged and the weapon equipped. Together, these changes make the combat in Bloodborne a much more frantic and fast paced affair than in its predecessors. When the player dies in Bloodborne they lose all of their "Blood Echoes," the equivalent currency to souls in the previous games. They can either be in a pool of blood on the ground or be infused in random enemies near the area the player died. To retrieve the echoes one must kill the infused enemy or pick up the blood stain. Encounters with bosses always leave a pool on the ground, while dying outside of boss areas may lead to either infusion or a blood pool. If the player dies before retrieval the echoes are gone for good. Reusable healing items are also dropped in Bloodborne, as the main source of healing are items called Blood Vials, which are primarily taken from corpses of enemies throughout the game, but can be purchased as well, similarly to the various moon grasses seen in Demon's Souls. There are also NPC characters that can offer their blood in vials, each with their own special attributes. Vials and bullets both cap at 20; any extras of these picked up will go into the player's stash and refill the inventory upon death. There are runes in the game that can increase the maximum carrying capacity of vials and bullets, but they are only available later in the game. Players can also be healed if one of their messages is rated as "Fine," but this is not something that can be relied on. Bloodborne is set in the Gothic city of Yharnam, once famous for a fabled remedy that could, supposedly, cure any ailment. The world is under siege by a beast plague, which infects and transforms humans into terrifying creatures. 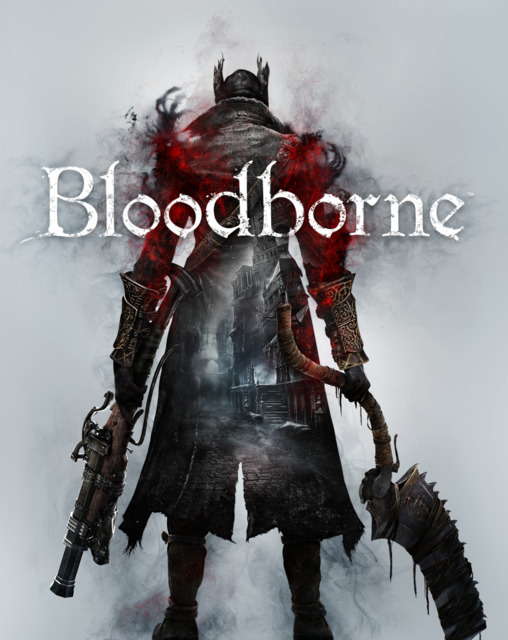 The player is a human infected with this plague, who must traverse the ruined city of Yharnam and its many terrors and attempt to find a cure without losing their own humanity in the process. Another new feature in Bloodborne is the Chalice Dungeon, an optional, procedurally generated dungeon set beneath Yharnam. A chalice dungeon is generated when a player brings a special chalice item to it, and once generated it remains the same for the rest of the playthrough, although chalice dungeons can be shared with others. Chalice Dungeons spawn Bosses that the player must face in order to progress. It is unclear as to what bosses the dungeon will spawn on generation. In order to co-op in a Chalice Dungeon, both hosting and joining players must have created a dungeon of that chalice at least once. Only the "Root" variants of Chalices provide completely procedurally generated dungeons, while regular Chalices provide only fixed dungeons. Give Me Bloodborne Right Now, Thanks!